Students in Academic Track take IIE's Intensive English Program (IEP) with Academic English as Monday elective. Students also receive afternoon tutoring on academic English skills for a minimum of 2 hours weekly. The Academic Track course is a minimum of 16 weeks. Students should be in Level B1+ (Intermediate) or above to enroll in Academic Track. 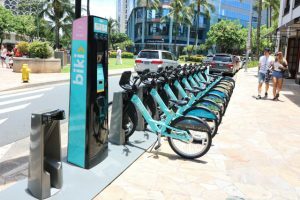 Upon successful completion, students may enter directly into designated colleges and universities in Hawaii, and take college credit courses, without taking a TOEFL test. 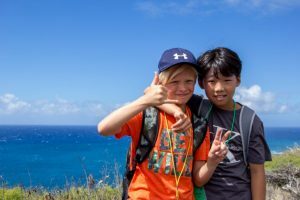 Under a special partnership with University of Hawaii's Kapiolani Community College, students in IIE's Academic Track qualify for the Hawaii Rainbow Bridge College Pathway. See Hawaii Rainbow College Pathways page. IIE Hawaii also has an Academic Track TOEFL-waiver agreement with the internationally-recognized Chaminade University. Acceptance by IIE in the Academic Track or Cambridge Exam Preparation programs, students may receive conditional acceptance to KCC. This class focuses on speaking in real-world situations, but also includes listening, vocabulary, reading, writing and grammar. Each week there is a different topic that relates to real life scenarios you encounter while using English in every day life. There are role-plays, debates and discussions about current topics and current events, travel and survival English, English for work, slang and idioms, conversational English and much more. These skills will help you to speak English better in every aspect of your life. Great opportunities to practice your English. At least once a month, we have a very popular big school barbecue nearby at Fort Derussy Park. This is a great chance to meet other students, practice English and enjoy lots of delicious food. Students can also participate in fun outdoor sports and social activities. 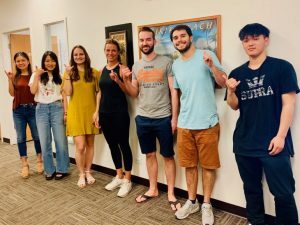 We plan a full calendar of exciting and unique daily activities so that you can enjoy the beauty of Hawaii while practing English. They include free weekly sunset beach yoga and free weekly hula, surfing, hiking, beach trips, picnics, catamaran cruises, more! to our past academic track graduates! For students seeking maximum improvement in minimum time. This morning & afternoon program can be offered with afternoon Small Group Business, TOEFL or TOEIC options. Personalized instruction ideal for students who want to concentrate on a specific area of study, or who do not have the time to study in our other courses.